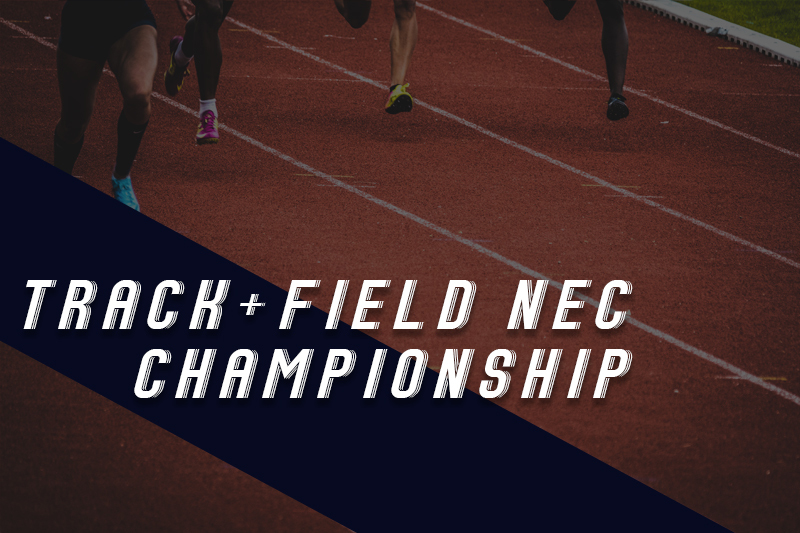 STATEN ISLAND, N.Y.,— On Friday and Saturday, the Robert Morris track and field team scored 63 points, tying the Central Connecticut State University Blue for 5th in the NEC. The Mountaineers of Mount St. Mary’s won the NEC with 138 points. Finishing her indoor season on a bang, Estelle Katende won the shot put, with a new personal and school record of 15.16m (49′ 9”). This beat the previous RMU record by one foot, eight and a half inches. Staying with the throwing events, Sam Buck won gold in the weight throw with a toss of 15.69m (51′ 5.75”). Zoe Roush finished her freshman year strong, as she finished third in long jump, with a leap of 5.66m (18′ 7”); second longest in school history, and fifth in the triple jump, jumping 11.75m (38′ 6.75″), another personal best and tied for seventh in Colonials history. The 60 meter hurdles saw two Colonials place in the top 10, Madison Mueseler finishing fifth with a personal best of 9.09, and Nina Radisavljevic finishing seventh with a time of 9.27. Radisavljevic also finished sixth in the triple jump, with a personal best jump of 11.75m (38′ 6.75″). Mueseler finished eighth in the 400 meter as well, with a time of 58.74. In the distance events, Martha Gardner, finished eighth in the 5000 meter run with a personal best 18:57.22. Anna Chasovskaia finished fifth in the 500 meter with a time of 1:16:78. Lilly Harnish finished fifth in the high jump with a leap of 1.61m (5’3.25″). Kaitlyn Hawkins was third in the pole vault with a vault of 3.50m (11′ 5.75″). Relay-wise, it was a strong showing for the Colonials. The 4×400 made of Anna Chasovskaia, Brooke Oldfin, Nina Radisavljevic, Madison Mueseler finished third with a time of 3:52.67, good enough for third in RMU history. The distance medley relay (one 400m leg, two 800m legs and one 1600m leg) of Tara Richardson, Nicole Florio, Laura Lintelman, Samantha Felton, finished ninth with a 12:46.77, which paces them ninth in RMU history. On the season, Zoe Roush was nominated the co-winner of the NEC’s Most Outstanding Rookie award, winning alongside Dominique Jeffery, a sprinter from Mount St. Mary’s. Roush currently holds the second longest long jump in team history.